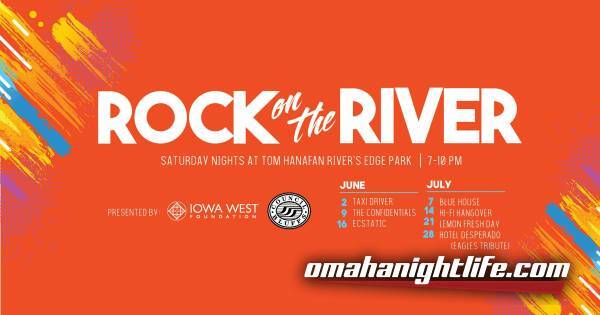 A series of seven concerts will be held at Tom Hanafan River's Edge Park on Saturday nights from June 2 to July 28. Bands include Taxi driver, The Confidentials, Ecstatic, Blue House, Hi-Fi Hangover, Lemon Fresh Day, and Hotel Desperado. The Rock on the River concert series is free! 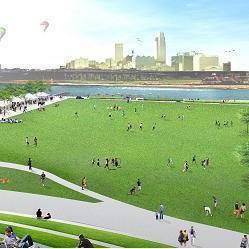 In addition to live music, there will be food and drink vendors, as well as face painting and balloon artists. Patrons are welcome to bring chairs, blankets, umbrellas, and coolers. Canned beverages must have koozies, other beverages must be in plastic cups, no glass allowed. Items not allowed are glass bottles/ containers, tents, canopies, and anything that stakes into the ground.